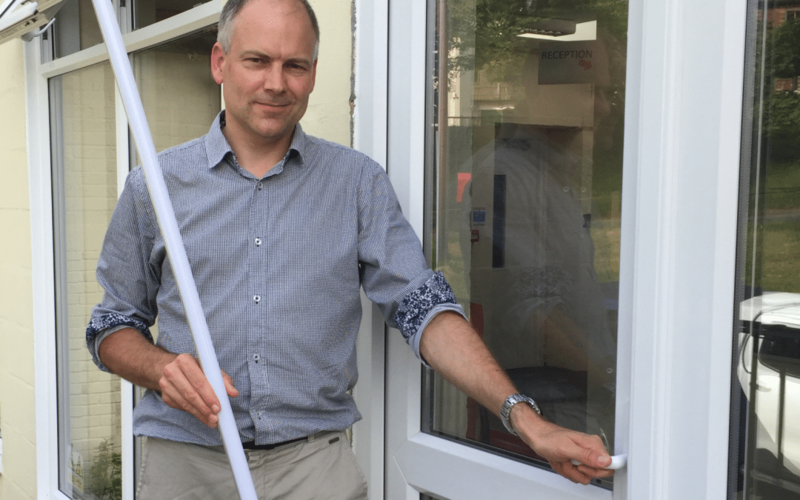 Key IQ Ltd, based in Upper Colwall, Herefordshire has received a free energy assessment and a 40% grant towards a number of energy efficiency improvements through the Business Energy Efficiency Programme (BEEP). The company was set up in 2010 with the aim of being a catalyst to help innovative companies grow and succeed through business and technology consultancy, networks, and events to foster creativity and promote entrepreneurship. In January 2012 the business created the Wyche Innovation Centre to provide a focal point for entrepreneurs in Malvern and the surrounding area, which has since become the centre of many of Key IQ’s activities. Additionally, the Wyche Innovation Centre houses the Malvern Hills GeoCentre providing information about the local area and Cafe H2O, an ideal spot for light lunch, coffee and cake, run by Team Jamboree a local co-operative business of adults each with a learning difficulty. A key aspect of the Wyche Innovation Centre’s appeal for small businesses is the provision of good quality office space at affordable rates, however, with rising energy prices this is becoming harder to provide. This led to Key IQ Ltd. contacting the Business Energy Efficiency Programme to enquire about the support and grant funding available for energy efficiency improvements and a visit from Energy Efficiency Advisor, Liz Rushton, based at the Herefordshire & Worcestershire Chamber of Commerce. Following the assessment, Key IQ Ltd successfully applied for 40% grant funding towards a package of improvements on site, including LED lighting, loft and boiler pipe-work insulation, new windows and doors. In total, the improvements are forecast to reduce the business’ carbon emissions by 12.5 tonnes CO2 per year and their energy bills by £2800. Worcestershire County Council along with its partners Herefordshire & Worcestershire Chamber of Commerce, Shropshire Chamber of Commerce, Herefordshire Council, Telford & Wrekin Council and the Worcestershire Districts Councils were awarded £1.45 million funding from the Department for Communities and Local Government’s European Regional Development Fund to help small and medium-sized businesses. For more information or to register for the programme please contact the team on 01905 677 888 / info@business-central.co.uk.